Hybrid bicycles combine features from dedicated mountain bikes, road bikes and touring bikes. A hybrid bike also sometimes called a comfort bike, is a highly versatile design built for many different riding conditions while still providing a comfortable ride. Beginning cyclists will appreciate their stability and comfort, while more experienced riders will love the approach that one set of wheels can be used for a wide range of outside activities. We’ve reviewed the best hybrid bikes for men and women and also put together a helpful guide so you can can pick a bike most suited for your needs. 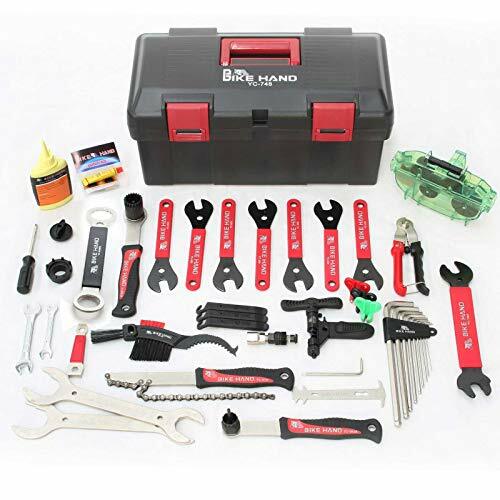 For more of my top gear recommendations, have a look through these popular Outside Pursuits guide links: Bike Helmets, Bike Locks, Bike Racks. Now let’s take a look at some top rated Women’s hybrid bikes, then we’ll go over the Men’s. In our buyers guide we’ll explain the important features to help you pick the best comfort bike for you. The Raleigh Detour 2 is our editor’s choice for best women’s hybrid bicycles. This mid-level model is great for casual riding around town in comfort, while the occasional nature excursion with a few dirt paths is not out of the question. The aluminum frame of this comfort bike is ready for fenders or a rack, but does not come with these extras. The rigid alloy fork is responsive and paired with a steel riser handlebar. You’ll ride upright, seated comfortably on a spring-loaded saddle. The tires are too narrow for a full mountain bike experience, but they feature larger rims for extra stability and take the worry out of off-road detours with anti-puncture technology. The Raleigh Detour 2 has a step through design and a very lightweight hybrid bike, so you can easily maneuver and handle this bike. With 21 gears, city cycling or hill climbing are no problem, as well as pedaling at higher speed if you’re in a rush. The Raleigh Detour 2 comes in four sizes: at 13”, XS corresponds to a rider height of 5’0″ to 5’3″, while S at 15” matches a height of 5’3″ to 5’6″, M with 17” fits 5’6″ to 5’9″, and L with 19” is built for a rider height of 5’9″ to 6’0″. For a little more than $300, you get one of the best hybrid bikes for women that will serve you well on short errands or longer fitness routes and leisure cruises. The Schwimm Capital hybrid bicycle is designed as a multi-purpose ride at a very affordable price of less than $300. On the scale between mountain and road bike, it sits with the commuter, city or urban bikes, yet doesn’t feature fenders or racks. 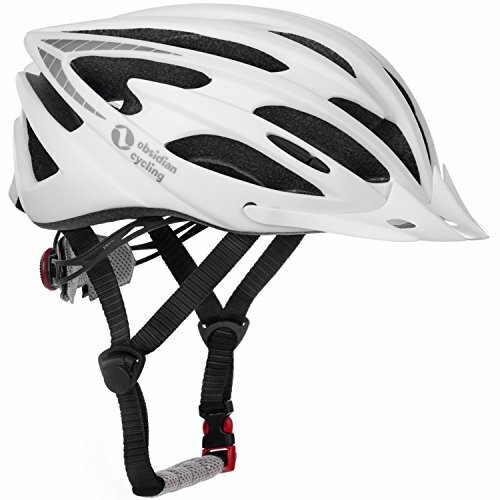 The aluminum frame is step-through for easy starting and stopping with a comfort fit geometry. This gives you a light bike that handles well for cruising and fitness rides. With the adjustable swept-back handlebars, you ride upright and experience hardly any bumps thanks to a suspension fork and seat. This bike can deal with potholes, rougher paths or cutting across crass and irregular terrain. The tires are more narrow than on a mountain bike, but feature a high profile for traction. With 21 gears in a 3 x 7 all Shimano drivetrain, you’re well equipped for hill climbing, going at higher speed or pedal slowly on scenic routes. The Schwinn Capital bicycle is 15” and matches a rider’s height of approximately 5’4″ to 5’7″. It’s a very comfortable bike to ride is probably the best hybrid bike under $300. The Diamondback Bicycles Vital 2 Complete is a hybrid bicycle built for comfort and stability. Fitness rides, outdoor excursion, morning commutes and leisure cruises are all possible with ease with this model. 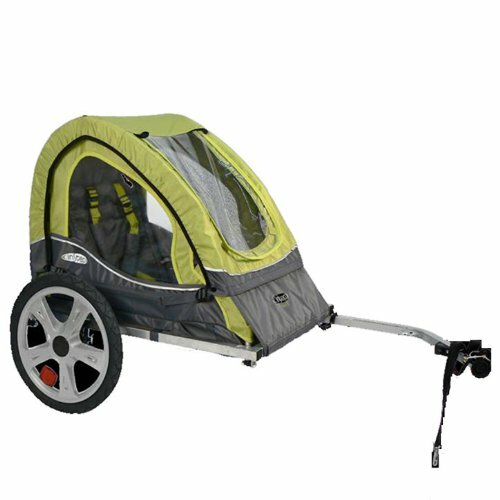 The aluminum frame comes with a low weight and step through design for getting on and off with no problems. You can carry this bike down some steps if need be or take it on the train with you. The handlebars are adjustable in height and their riser design lets you ride fully upright. You’ll sit comfortably on a double density saddle with seatpost suspension. The suspension fork has a great travel of 63mm and in combination, these features literally take the bumps out of your ride. The all-weather tires by Kenda Cross are thicker than on a road bike model and give you traction in any terrain. With a Shimano 3 x 7 drivetrain, shifting is smooth and you can choose among 21 gears to suit your needs. The Diamondback Vital 2 comes in two sizes: the 15” version fits women between 5’4″ and 5’7″, while the 17” version is made for riders from 5’7″ to 5’10”. You can enjoy a wide range of activities with it and I would rate it as one of the best comfort bikes, especially considering it’s price. For just $250, you get a great hybrid bike with the Schwinn Discover model. This bicycle has more of a classic look than most of the other models on our list and emphasizes usage in an urban environment. Commuting or running errands are tasks at which the Schwinn Discover excels. You have a rear rack for transporting things, and the bike is already equipped with fenders. The aluminum frame has a step-through cut, but not as low as other bikes. With a Swept-back handlebar, you can ride in a comfortable and upright position. 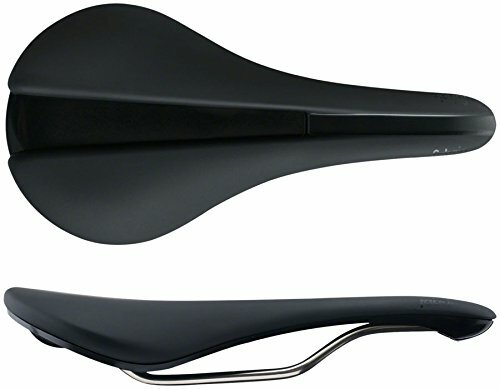 The saddle is well cushioned and offers seatpost suspension. Paired with a suspension fork, you’ll hardly feel the road condition. The Kenda tires perform well in all weather conditions and offer sufficient traction. With 21 gears, you’re ready for what the route entails, climbing hills or going at a faster clip. Rim brakes allow you stop precisely. The bike will look great anywhere, but the white color is a minor downside if you do take it onto rougher dirt paths: dust and mud will quickly show. The bike is available in a large size only, fit for a rider’s height of approximately 5’2″ to 5’8″. 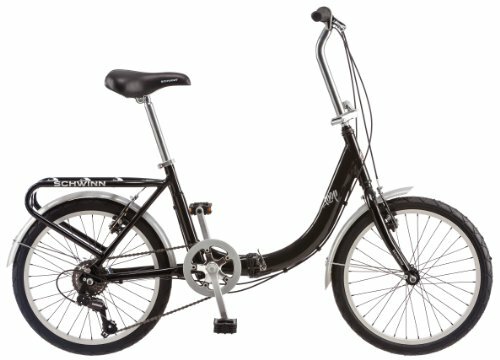 The Schwinn Discover is easily the best hybrid bike for the money! The Diamondback Bicycles Clarity 2 is a high-performance hybrid bike with a clear emphasis on road riding. With a lightweight aluminum frame that is specially shaped, you get a low standover height and can easily carry this bike. The handlebar sits elevated, yet is only rising a little, as it would on a mountain bike. With thinner Kenda Kwick Trax tires, this hybrid bike is optimized for speed, yet allow you to right comfortably upright at the same time. The rigid fork gives you a responsive riding feel while you can fully rely on Promax mechanical disc brakes to bring you to controlled stops, even in wet conditions. 21 gears allow you to open up to higher speeds on straight stretches while also giving you a good range of lower gears for climbing hills. This model is available in four sizes: XS fits riders between 5’2″ and 5’4, S is built for a rider height of 5’4″ to 5’7″, M is adequate for 5’7″ to 5’9″, and L is the size for a rider height of 5’9″ to 5’11”. If you’re willing to spend a little more than $300, the Diamondback Clarity 2 is the best hybrid bike for beginners that delivers speed and smooth riding on paved roads. The Sixthreezero Body Ease Comfort Bike is clearly meant for leisurely cruises and comfortable rides. You can get low-level exercise, do short errands or commutes with it and take it out for a spin in the afternoon. The lightweight bike makes getting on and off straightforward with a step-through frame. The handlebars rise toward you and you ride fully erect, seated comfortable on a foam-padded seat. Suspension both on the fork and seatpost smooth out whatever minor obstacles are in your path and protecting your body. With a 7 speed setup, shifting is straightforward. Don’t worry about not having enough gears, you have enough gears to climb hilly terrain with ease. The Kenda tires are 2” thick and have a profile that gives you good traction on the road and on the occasional dirt path. There are no fenders mounted on this model, but you have a rear rack for transporting smaller things. The bike features a frame and design where one size fits nearly all adult riders. It can accommodate people with a body height from 5’ to 6’2” thanks to its geometry. With the Sixthreezero Body Ease you get a sturdy and reliable cruiser bike that is comfortable and fun to ride and best hybrid bike under $500. The Diamondback Bicycles Wildwood Classic is our editor’s choice for men. This hybrid bike emphasizes the comfort aspect of riding while still giving you versatility and multi-purpose riding. Comfy, practical and affordable, this model is perfect for spontaneous rides. The manufacturer’s approach is definitely rider-friendly: the aluminum frame is paired with a suspension fork and a suspension seat that is heavily padded with soft foam. In addition, the riser handlebars allow you to ride upright or leaned back, while the tires provide traction and stability as well as smooth coasting with a high air volume. From potholes to rocks on dirt roads, bumps big and small are easily absorbed. With 21 gears, you have a sufficient selection to cycle through, whether you need speed or the ability to climb hills and winding trails. The 3 x 7 drivetrain features all Shimano parts. Minor drawbacks of this model are its slightly heavier weight in comparison to other models, which is largely owed to the suspension, but not a problem for casual riders. The rim brakes work well but are not as reliable as disc brakes in demanding downhill situations or wet conditions. Yet they are completely adequate for a comfort bike. The Diamondback Bicycles Wildwood Classic is available in four different sizes: S is recommended for a rider height between 5’4″ and 5’7″, M for 5’7″ to 5’10”, L matches 5’10” to 6’1″, and XL is for a rider’s height of 6’1″ to 6’4″. All in all, this hybrid bike is a comfortable, multi-purpose model geared towards casual riders who want a smooth experience at an affordable price. With a price tag below $300, Diamondback Wildwood is one of the best hybrid bikes for men! The Schwinn Siro hybrid bicycle balances aspects of mountain and road biking while not neglecting comfort. The 18” aluminum frame is sturdy yet lightweight and can take shocks well. To take the bumps out of riding, you also have a suspension fork and suspension seat with ample padding. Swept back riser handlebars and an elevated construction let you ride upright, giving you the best view of what lies ahead on the road or the trail. The 26” tires feature a profile that rides well on pavement, yet gives you enough traction when it’s wet or dirty. The 21 speed bike comes with Shimano shifters of the entry-level grade and an all Shimano 3 x 7 drivetrain. Plenty of gears to climb or ride at higher speeds. The rim brakes clamp reliably onto the alloy wheel rims, yet are not a powerful as disc brakes on demanding rides. This model is only available in one size: the 18” frame can be considered medium, appropriate for riders between 5’7″ to 5’11”. The Schwinn Siro is a reliable and comfortable hybrid bike that won’t mind rougher conditions now and one of the best hybrid bikes under $400. As the name implies, the Vilano Diverse 3.0 Performance is a hybrid bike that leans towards road biking. Built with a larger frame size available in 20” or 22”, this model uses hydroformed aluminum alloy for both the frame and fork to construct a lightweight yet sturdy bike. The flat handlebar makes it look like a mountain bike, but the elevated position of the bar gives you an upright riding position, which is very different from drop handles and racing bikes. With 700cc x 35cc tires, you can go off-road, but the bike lacks traction and stability on heavy trails with bumps and ruts. This tire set is meant mainly for roads and can handle nearly all weather and pavement conditions. 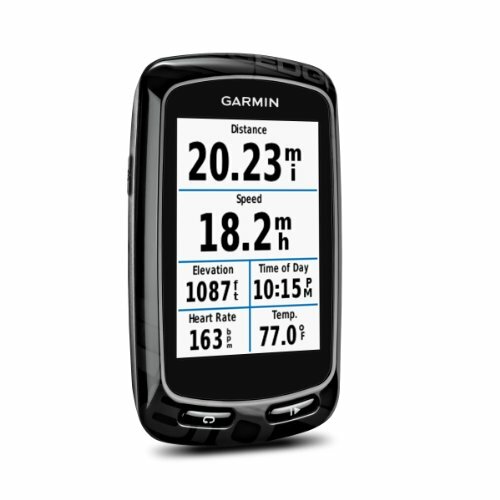 24 speeds and all Shimano components allow you to work this machine up to higher speeds. That’s why Vilano also gives you disc brakes on the Diverse 3.0, so you can brake safely and reliably. The Vilano Diverse 3.0 Performance is a great hybrid road bike well-suited for riders who want to get some miles in on the street, yet prefer a more upright position do drop handles. With the arched frame and elevated handles, you can also use this model for short errands or even your commute, if you don’t mind the missing fenders. With it’s lightweight, taking the bike onto the train or putting on a bike rack is also not a problem. Costing about $300, the Vilano is one of best value hybrid bikes! The Giordano G7 hybrid bike combines the suspension aspects of a mountain bike with the 700cc tires of a road bike. The result is a model especially suited for tall riders who are looking primarily for an urban model that performs well on the road, but is suitable for the occasional nature outing on dirt paths and trails as well. A lightweight aluminum frame is paired with a suspension fork and a suspended seatpost, giving you enough cushion to not feel bumps and shocks as much and avoid strain on your wrists and arms. Unlike a road bike, the G7 features a riser handlebar with an adjustable stem to let you ride in an upright position. With a 21 speed combination and high pressure tires, there is a focus on speed, but the Shimano shifters and drivetrain give you enough gears to tackle hill climbing on the road or the trail as well. The rim brakes provide reliable stopping power, but won’t perform like disc brakes when racing downhill. Despite the emphasis on road use though, this model comes without fenders. The Giordano G7 is available in 18” for riders between 5’3″ and 5’10” with an inseam of 28″ to 30″, or in 21” for riders between 5’9″ and 6’2″ with an inseam of 30″ to 33″. This bicycle offers good value and is one of the best budget hybrid bikes for taller road bikers who like to ride comfortably. Diamondback Bicycles delivers an entry-level hybrid bike with the Edgewood model. For well under $300, you get a fine combination of mountain and road bike features to offer good versatility. This bike offers good comfort with an aluminum frame, suspension fork and suspension seatpost. You won’t feel the road or the trail much and can ride upright thanks to riser handlebars with an adjustable stem. At first glance, the tires are for road use, but Diamondback Bicycles mount a 700cc tire that is slightly thicker at 40cc, giving you improved stability and traction for off-road use. With 21 gears, you can build up speed or shift down enough to climb hills and winding dirt paths. The rim brakes perform better on the street, so don’t race downhill too fast with this model. The Edgewood hybrid bicycle is available in four sizes accessible to riders of a wide height range. The 15” S size is suitable for people from 5’4″ to 5’7″, M in 17” fits 5’7″ to 5’10”, L in 19″ is for 5’10” to 6’1″, and at 21”, XL fits riders between 6’1″ and 6’4″. A minor drawback of this hybrid bike are the minimal assembly instructions, but for a very low price, you get one of the best hybrid bikes for a very reasonable price! A hybrid bike is meant to perform as an all round model for various situations, but you should nonetheless let the type of riding you’ll do most guide your decision. Where will you take your bike? What is your budget? The bike also needs to fit your body so you can ride it efficiently and comfortably. You can use a hybrid bike to roll around town, keep your fitness up, explore nature, cover short and longer distances or go on bike tours. Among these purposes, most models will prioritize one or two aspects, which in turn influences design and features. Often the name is already an indicator whether the emphasis is on mountain or road biking, or comfort. In all cases, a bike needs to fit your body in size and components. Narrow your selection by the type of riding you’ll be doing, then look at features such as wheels and tires, suspension, great and brakes as well as suitability for city riding. In general, a hybrid bike is a great choice if you’ll ride it in the city a lot, go on leisure outings with friends, occasionally ride on some dirt paths and prefer a bike to be lightweight and low on maintenance while also being affordable. Depending on model and manufacturer, a hybrid bike might lean towards a specific type of riding and be more of a city bike, mountain bike or road bike. For more speed and use on paved roads, thinner, lower-profile tires work well with high gears to choose from. Suspension is best for off-road use, paired with tires with good traction. Commuters will appreciate a comfortable seat and handlebars, fenders and the ability to transport some things. For sizing, a hybrid bike is measured from the center of the bottom bracket (BB for short) to the top of the seat tube, although some manufacturers might specify different measurements. Your height and inseam leg measurements help you determine the right size. Most brands also specify sizes like S, M, and L. If possible, consult the sizing chart for the specific bike you’re interested in. Aluminum offers a great ride thanks to some shock absorption qualities. It is light, strong, affordable, and resistant to rust and corrosion. Steel frames are heavier than aluminum, yet very strong. Their flex offers a smooth and comfortable ride. The downside is that rust and corrosion are the enemy of this material. Carbon fiber is expensive and mostly used for higher-end bikes. It’s both the lightest and strongest material and rides smoothly. Sometimes manufacturers use a different material for the fork in order to introduce more versatility. In hybrid bikes, this might be the case for models leaning more towards mountain bike riding to better absorb shocks. In addition, a suspension fork will further counteract bumps so you’ll feel less impact on your arms. However, suspension on the fork adds weight and makes you lose some of your pedalling energy. Unless mountain biking is your main activity for your hybrid bicycle, you need not consider a suspension fork. Looking at racing and mountain bikes, you’ll see that the handlebars are typically below the seat, which require you to lean forward while riding. Hybrid bikes tend to have the seat lower than the bars, which makes for more comfortable experience. As a result, your wind resistance increases and you transfer less power to the pedals. Drop bar: This is the classic racing bar on road and racing bikes and far less common for hybrids. They allow you to ride aerodynamically in a lowered position, or more upright with the hands closer to the center. Flat bar: They make for a more relaxed riding position and are common on mountain bikes as well as hybrid models. With flat bars, you can see the road or terrain better than with drop bars. 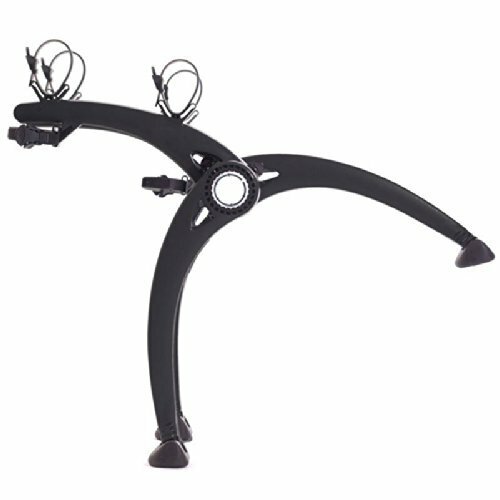 Riser bar: These handlebars extend upward and back towards you, allowing you sit back further. Your hands will not be perpendicular but nearly parallel to the bike’s center bar. These are best for comfortable, relaxed rides and cruising. Moustache bar: Essentially a combination of a flat and drop bar, a moustache bar and be straighter or more curled to allow for different hand positions. The wheel size for your hybrid bike will correlate with the frame size: if you need a larger bike frame to fit your body, it might also come with larger wheels. Hybrid bicycles commonly use either 700cc wheels or the 26” standard common with mountain bikes. 700cc tires are slightly thinner and more suited for road riding: they roll well on pavement and have no problem with small bumps and cracks. You’ll get easier acceleration out of them. With a 26” wheel base, you’ll have a wider choice of different tire profiles better equipped for off-road riding. Cruiser and comfort bikes might also employ these as they give you more stability, especially at slower speeds. Their higher air volume makes for a plush ride, while the higher air pressure of 700cc tires makes higher speeds and longer rides easier. A larger wheel size will be more enjoyable for tall riders, and also changes the attack angle of the wheel, making it easier to roll over obstacles or curbs. Gears on your bike allow for a varied approach to differences in terrain. Simply put, a lower gear makes it easier to pedal, which is suitable for climbing, while a higher gear introduces more resistance and is suitable for riding at higher speeds. How many gears you need on a hybrid bike depends on the situations you’ll encounter. Road cyclists in flat terrain can do with very few gears, while rough trails and steep hills require many lower gears to give you versatility. 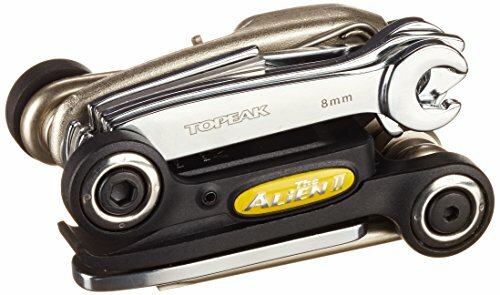 If you’re mainly commuting, an easy setup like a ten speed bike or only two chainrings in the front are probably sufficient, while mountain bikers will probably go for 27 or more gears. For just flat terrain, a single speed can also be all you need. Brakes are obviously the most important safety feature on a bike. The classic version is the rim brake, where rubber brake pads grip directly onto the wheel rims. Disc brakes feature a brake rotor mounted to the wheel hub, both in the front and back. The brake pads grip onto the rotor. A disc brake can be hydraulic, with more progressive and stronger braking with less finger effort, or mechanical, where you need to pull stronger. Disc brakes offer the advantage of more consistent braking power in all situations, including when wet. A spent rotor is cheaper to replace than a worn-out wheel. But compared to rim brake, it’s more difficult to inspect and service brake pads and rotors as well as the hydraulics. The saddle or seat on a hybrid bike tends to be more comfortable than on a mountain or road bike, and can even feature suspension to counteract the shocks from rough terrain and pavement. Among anatomical shapes, cutouts to relieve pressure, flexible frames, cushioning springs and gel padding, you’ll have to choose what you prefer. The more upright you ride, the wider and more padded as seat model you’ll want. Comfort, commute and city bikes tend to come with more comfortable saddles. Some hybrid bikes are equipped with a front or cargo rack, or both. These are designed for urban riding and your commute where you want to bring some things with you, such as groceries, a gym bag or other equipment. Depending on the racks, you might need pannier bags or a elastic straps to hold down your bag. Racks might be firmly installed or removable. Fenders are great for everyday riding as well where dirt and water are an issue. Your tires will pick up whatever grime or liquid is on the road or the terrain and splash it onto your clothes, unless your bike has fenders installed. 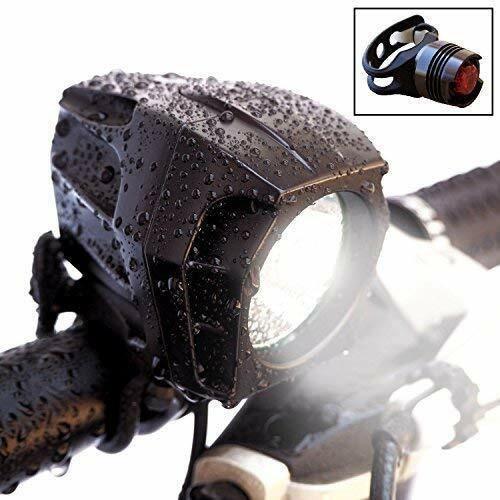 Should rain or dirt not be an issue for your riding, no fenders on your hybrid bicycle help you save weight. Q: How is a hybrid bike different from a mountain bike or road bike? A: Hybrid bicycles combine the concept of a mountain bike and street bike to create a model that allows you to ride on paved roads as well as dirt roads. They’re sturdy, responsive and slightly rugged, yet more lightweight than a mountain bike. They’re more comfortable and convenient than mountain and road bikes, and they generally come equipped for riding in the city as well. They can easily be used for short distances and a daily commute, and typically allow you to transport your belongings. Their gears are versatile enough so you can climb hills and ride along at a comfortable speed on flat surfaces. Q: What are the benefits of a hybrid bicycle? A: Hybrid bikes allow you to ride in a comfortable, upright position with handlebars that don’t put any stress on your spine or neck from having to lean forward or grabbing drop bars. Their tires give you sufficient stability without hindering speed, yet they allow you to ride over rough patches in the road or on a trail. The great advantage of owning a hybrid bicycle is that you can do light road biking, mountain biking and touring while also using the bike for your daily commute or pedaling around the city. Q: What type of riding is best with a hybrid bike? A: Hybrid bicycles emphasize a more casual aspect of cycling. If you’re a competitive or highly ambitious rider, you probably should consider getting a racing, mountain or touring model instead. A hybrid model will work well for short to medium distances. You can ride around town, commute to work, and go on easy cycling tours. You can also do road or mountain biking and trails, but pick a route that is actually suited for your bike. Individual models might emphasize one aspect stronger. Q: Are hybrids well-suited for road and mountain biking? A: A dedicated road bike, touring bike or mountain bike will generally outperform a hybrid bike in their respective category. It’s simply not possible to have an all round model that excels at everything. Keep in mind that a hybrid cannot share all the features with dedicated bikes: you cannot have slick tires for speed and great traction at the same time, many gears for climbing and the frictionless pedaling of a single speed. If you know you’ll use your hybrid bike for various disciplines, try to figure out which aspects are most important to you and then select accordingly. Q: Is a suspension or rigid fork better for a hybrid bike? A: That depends entirely on your preference. A suspension fork allows you to ride smoother in rough terrain. A rigid fork offers more response, but will feel more bumpy when you ride over minor obstacles. When you get your hybrid bike, make sure to follow the assembly instructions and fine-tune the fit afterwards to give the most efficient and comfortable riding experience. Depending on whether you’re leaning more towards riding on paved roads or on trails, check out our Introduction To Road Biking or our tips on How To Mountain Bike to learn more about riding. With a hybrid bike, you have made the choice to get a versatile bike you can ride in very different situations, allowing you to enjoy many outside hours of exercise or pleasure rides. 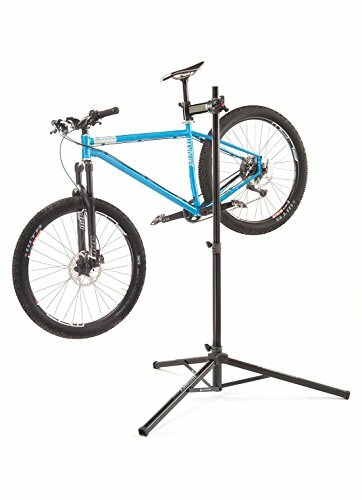 I hope this guide was helpful for finding the best hybrid bike to fit your needs. If you want to comment or recommend a bike I didn’t include, please use my contact form to get in touch.